The NEC Handi rifle is the budget shooter/hunter’s dream gun. It’s cheap, simple and versatile. Since it has interchangeable barrels, it has been mated with some really wild custom barrels….like the .577 Nitro Express. Check out this African Buffalo hunt featuring the H&R/NEC Handi Rifle with a custom .577 Nitro barrel. The load is a hard cast lead bullet at about 1800 fps. One shot puts the Buffalo down in short order. Brown bears are the largest bears and are extremely dangerous and unpredictable. They can weigh up to 1,500 lbs and are very fast on their feet. You don’t want to piss one off. Brown bear hunting is very dangerous and should be done with a heavy caliber rifle such as a .338 Mag or 375 H&H. They are very muscular and tough and will come after you if given a chance, some people also decide to use archs, since they’re into archery and get equipment from sites as http://archerypro.net. The terrain is hilly and thick with scrub bush which makes it really dangerous. 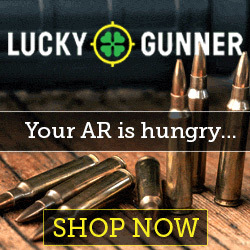 You better make your shot count because you may become the hunted. Brown bears have been known to circle around a hunter and attach from behind. Watch this exciting Brown Bear hunt on the Kodiak Island. Take a close look at how big this bear is. So you want to get a record book Black Bear? Like a 500 lbs monster? So where are the best places to hunt in order to get a monster Black Bear? Boone & Crocket Record Black Bears taken in North America. Arizona – my home state! 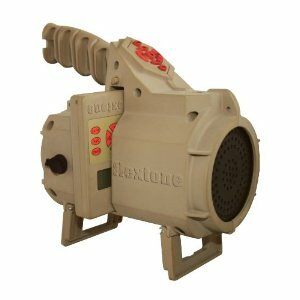 The Flextone Echo HD electronic game caller can enable you to call in game close so you can get a clear shot. Spot and Stalk is much more difficult. Electronic game callers bring game to you. All you need to do is blend in with the terrain and be silent. The game caller will entice game into close proximity to you. Shots are at much close ranges than when you do a spot and stalk. Electronic game callers come with professionally recorded sounds so you do not have to practice calling. You just setup the game caller and hide. Then wait for game to come to you. 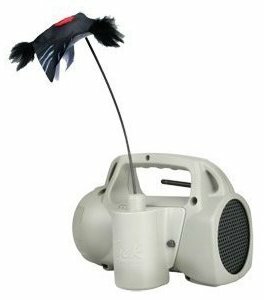 The Flextone Echo HD is a nice electronic game caller that is reasonable priced. It comes with 100 high definition calls and is programmable. The base unit has directional speakers and comes with a remote control that has a range of 300 yards. The base unit and the remote have a backlit LCD display. The Echo HD is water resistant and rubber coated for durability. The batteries are rechargable and are charged via a docking station. The Echo HD game caller only weighs 3 lbs. If you have a FoxPro Fury, Fury 2, Firestorm, FX5 or FX3 and need a decoy to improve your predator hunting success then you should check out the FoxJack Decoy. It replaces the battery door on your FoxPro game caller. It’s very easy to install and use. Visual stimulus is very important when predator hunting. If you can keep their eyes and ears busy, they will not be looking around for danger. Increase your hunting success with a FoxJack.